Home » Generations / Classics » Transformers Generations Classics 3.0 » Legends Blackjack & Huffer Accidentally Revealed? Legends Blackjack & Huffer Accidentally Revealed? 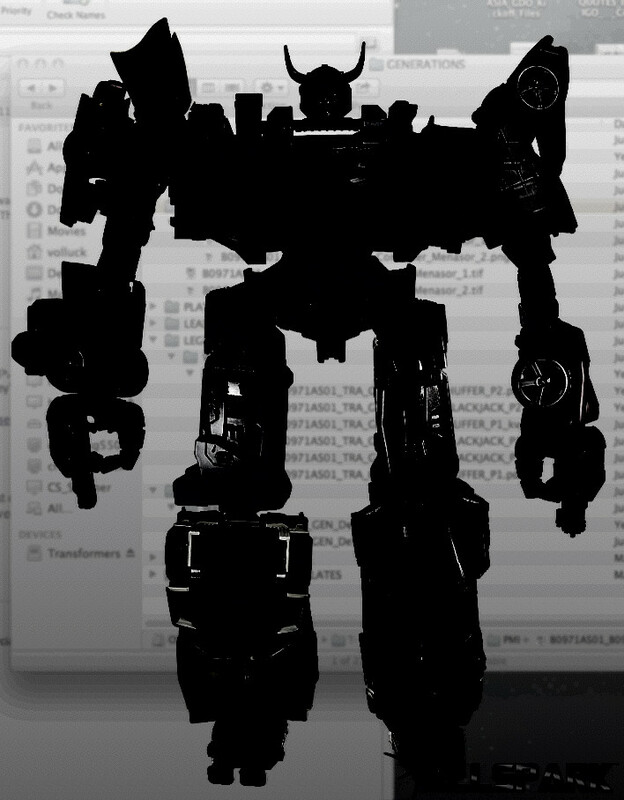 TFW2005 boards member Jalaguy has made a potentially interesting discovery – the the background of one of the SDCC combiner images revealed today, the Hasbro filenames for Blackjack and Huffer can be made out. Blackjack is speculated to be the Legends figure who forms Menasor’s chest, and Huffer may be a new, as-of-yet unrevealed Legends mold. Check it after the break! Damn! You have some good eyes! I don't think I would have noticed that! Never allow your computer screen (with file listings) to be in the background of a pic. Something tells me this was done intentionally. Holy crap…..I was just thinking the other day it would be cool to have a new Blackjack……..
And yeah Huffer was definitely a given. Heh…IDW for the most part pretty much reveals upcoming plans to us, especially when a particular character is suddenly thrusted for to the forefront, if not always. I'm one issue behind on MtMtE. Did Huffer get a role in the most recent issue, because I don't remember him having more than a couple one- or two-panel cameos throughout the rest of the series. Dammit, I still want GALVATRON! Since next year is officially year of the combiner… I think most of the toys and characters (even though by canon does not combiner)… will be part of a combiner team. pipes: Transforms from heroic autobot truck to stepped on guy! wow. Hasbro slipped on this one! I wonder who got in trouble for dropping the ball! Interesting that we finally get a name of a transformer with the word Black in it. I thought they had to be all politically correct. In any case, that's a pretty sweet name. The original G1 Blackjack toy was released in 1989 as a part of the Decepticon Micromaster Sports Car Patrol set.